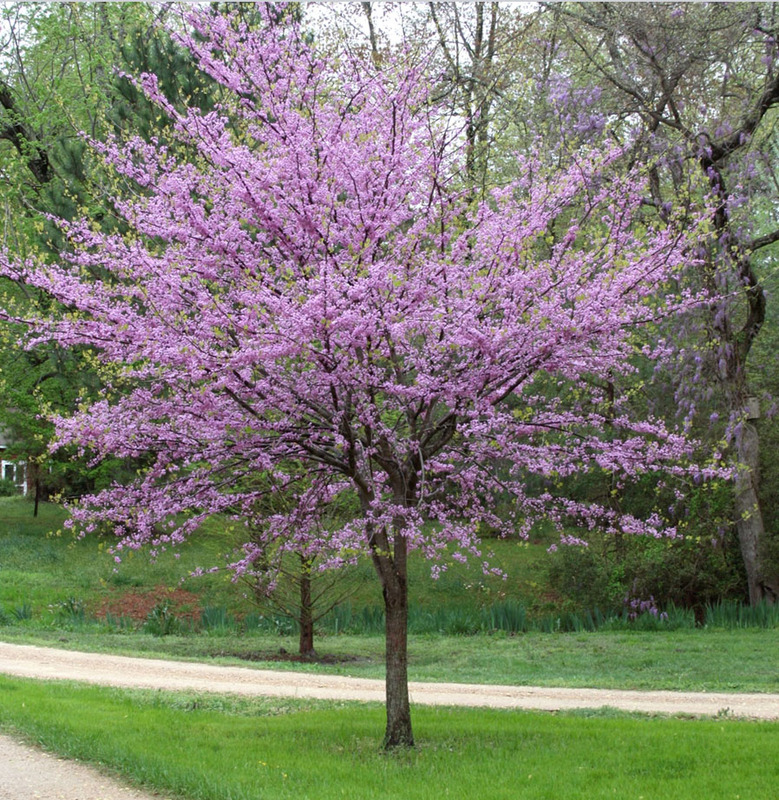 The Eastern Redbud, cercis canadensis, is among the first trees to bloom in our area. That happens in March-April when the reddish-purple buds turn into pink flowers for up to three weeks. The flowers are followed by seed pods several inches long, which drop from the tree when they are fully developed. Redbuds are found in USDA Hardiness Zones 4-9: from New England and the middle Atlantic states, south to Georgia, and to Illinois and Wisconsin in the Middle West. Ewing is in zone 6. The Redbud leaf is heart-shaped, from three to five inches, and reddish-purple when new. By summer it’s turned shiny green, but gradually changes to yellow in the fall. A 1 ½ foot sapling will grow to seven to ten feet high in five to six years, and eventually reach 20-30 feet high, with a width of 25-35 feet. This usually smaller tree will have multiple trunks, and does well in most soils, but NOT in very wet soil. A native species, it likes full sun or light shade.